The Saskatoon Health Region apologized Thursday for the past coercion of Indigenous women to undergo surgical sterilization, but the health authority's plans to prevent similar mistreatment of patients remains unclear. An independent report paints an anecdotal but grim picture of the mistreatment of Indigenous patients by doctors, nurses and social workers in the city, where women felt pressured and harassed to sign consent forms while under the trying conditions of labour. "I'm sorry that you were not treated with the respect, compassion ... and all of the support that you needed and deserved," she said during a news conference. "No woman should be treated the way you were treated." 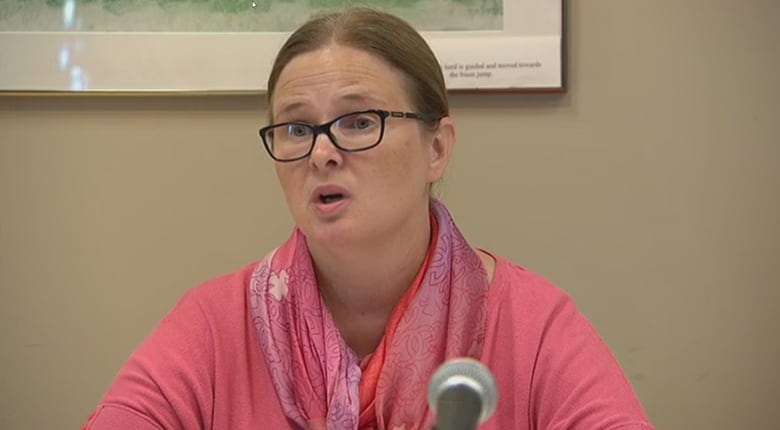 Mann's apology came just after the release of the report, written by Dr. Yvonne Boyer and Dr. Judith Bartlett after several women came forward about their experiences. The 57-page report is not a comprehensive history of past abuses — only seven Indigenous women were ultimately interviewed — but includes details about some of the "scare tactics" used against pregnant Indigenous women. "Because my daughter had cerebral palsy, the doctor told my husband that all future kids are going to be sick, have some kind of health problem," said one woman. "The nurses hover, they can make you do stuff you don't want to, just from the pressure alone," said another. Most of the women did not understand that tubal ligation was permanent, thinking it was a form of birth control that could be reversed in the future, the report says. "I wasn't told anything, no explanation that it was permanent," one woman is quoted as saying. The report also cites another woman "who contacted the reviewers because she felt her doctor is currently coercing her into having a tubal ligation during her pregnancy." "Some people may recognize themselves in the report. And I hope they do," said Leanne Smith, the director of maternal services for the health region. 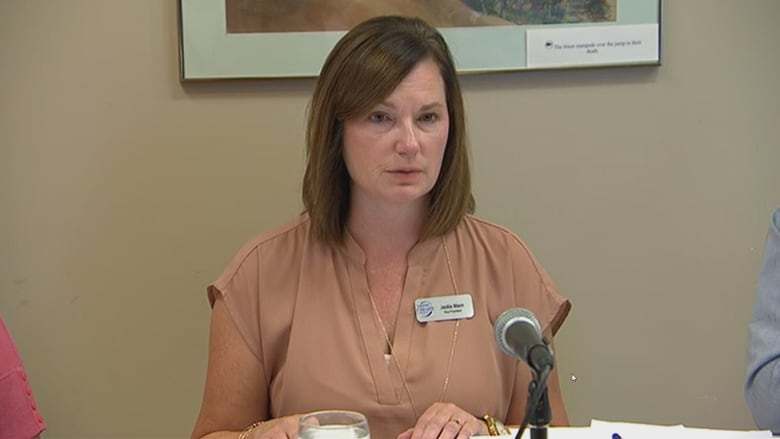 Smith said that since the allegations emerged, she has asked staff to be more proactive about flagging racist comments and attitudes uttered in the workplace. "I don't think we have done a good job at being able to call each other on what we see," she said of the past. The independent report made a number of recommendations to the health region — everything from a reproductive centre in Saskatoon for "vulnerable Aboriginal women" to cultural sensitivity training for health-care workers. Smith said all staff in maternal services have started receiving that training. But Mann said work on a plan to address the report's recommendations hasn't begun yet, and she could not comment on the timeline for specific actions. The creation of an advisory council comprising elders, grandmothers and other community members. Hiring more Indigenous and Métis employees. Reaching out to the women who came forward and offering reparations in the form of an apology. Setting up a support group or anything the women need "for their healing journey." Smith said that when she checked with lawyers "not many weeks ago," the health region had not been served with any papers related to tubal ligation. But Federation of Sovereign Indigenous Nations Chief Bobby Cameron — speaking from this week's annual gathering of the Assembly of First Nations in Regina, before the release of the report — was confident that will change. "This is not over by a long shot," he said. "I'm positive there's going to be asking for compensation, in a respectful manner.… Then there's going to be lawsuits, class-action lawsuits." The report examines the Post Partum Tubal Ligation Policy that was in place from 2005-2010, during the time period that many of the women stated they were coerced into tubal ligation. The region has already revised its policy for sterilization. "Now any woman who wants a tubal ligation following delivery must have discussed it with her physician and have that discussion documented prior to coming to hospital," said Smith. But in their report, Boyer and Bartlett say the policy needs further revision in consultation with Indigenous parties. No one has lost their job as a result of past malpractice. "It was hard to know who the staff were that were involved in the situations," said Smith. For Debbie Ironbow, Thursday's apology brought back painful memories. The mother of three said she was sterilized in the 1990s without her consent during a C-section. "I made no decision about it prior to being on that table," she said. Like several women cited in the report, Ironbow said her experience has made her wary of seeking medical attention for anything to do with her femininity. "I literally do not have contact with the health region regarding anything female. I go because I have spinal surgery," she said. She also expressed skepticism at the notion of real change within the system. "I think it's bigger than the administration can change at this point," she said. Changes to the system need to be system-wide, not just within maternal services, she said. "The rebuilding of that trust has to happen. You cannot do that by just saying, 'Oh I'm sorry that happened.'"